The Woodleigh Residences Condo by SPH and Kajima Developments. Description Commercial and Residential, a mixed development. The Woodleigh Residences and The Woodleigh Mall. Site Area 273,842 sq ft / About 161,460 sq ft of commercial space for uses such as shops and restaurants. The Woodleigh Residences and The Woodleigh Mall is jointly developed by top bidders Singapore Press Holdings (SPH) and Kajima Development. This highly coveted development in Bidadari Estate is to be launched in 2018. The mixed development site was won with a partnership bid of S$1.132 billion. This bid topped eleven other contending bids. The mixed residential and commercial estate that will house The Woodleigh Residences Singapore condo and The Woodleigh Mall garnered much attention from top Asian property developers due to its prime location next to the Woodleigh MRT Station. In addition to the upcoming condo, a retail mall will also be built on the Bidadari estate, as well as a community club, a neighbourhood police centre and a commercial bridge that will create an underpass from Bidadari Park to the underground, air-conditioned bus interchange. The location for the upcoming development offers numerous benefits to future residents, some of which include those other commercial amenities that will be built onsite, as well as other Bidadari New Town facilities such as schools, shopping centres, and access to transportation. The two developers, SPH and Kajima Development, of the upcoming condo, The Woodleigh Residences both have impressive track records when it comes to the development of luxurious, innovative residences. Thus, residents should have no concern regarding what they can expect for The Woodleigh Residences SPH. SPH prides itself as a leader in innovative and engaging property development in Asia, with a corporate portfolio that features both retail and residential developments. Their latest accomplishment in retail development includes the Seletar Mall located in Sengkang. In the way of residential properties, SPH also developed the 43-storey Sky@eleven at Thomson Road. Additional key developments from SPH include the upscale Paragon retail mall and medical office property located in Orchard Road, and The Clementi Mall at the centre of Clementi town. Established in 1840, Kajima Corporation dives into a number of industries, but their track record in real estate continues its powerhouse legacy with an impressive portfolio of property development achievements. Kajima has had a hand in important construction and development projects since the developer’s beginning, with roots in the construction of various civil engineering structures and, later, additional commercial, hospitality, and retail properties. Nowadays, Kajima has a strong presence in multiple countries across Asia, including Indonesia, Thailand, Japan, and Singapore. Residential developments Kajima has had a hand in Singapore include Bishopgate Residences and the Sui Generis condo. The estate for the upcoming The Woodleigh Residences in Singapore harvested jaw-dropping bids from top property developers for a reason. The site is surrounded by a number of appealing amenities for future residents to enjoy and has been bought at a time when the private housing demand in Singapore is booming. Below are some of the benefits residents of the upcoming condo can expect to enjoy as members of a flourishing community. Investors will derive great benefit from the condo in terms of its close vicinity to superior education opportunities in Singapore. Nearby schools will provide convenience to families within The Woodleigh Residences, as the easy commute will likely prove beneficial for both young children and their parents. as well as other reputable schools nearby that are convenient for morning and afternoon commutes. As the upcoming residence is located right next to Woodleigh MRT Station, near or far, commuting to school will be a breeze for families living in the condo. Located right on-site alongside The Woodleigh Residences condo will be an upcoming retail mall, as well as a community club for residents to enjoy. 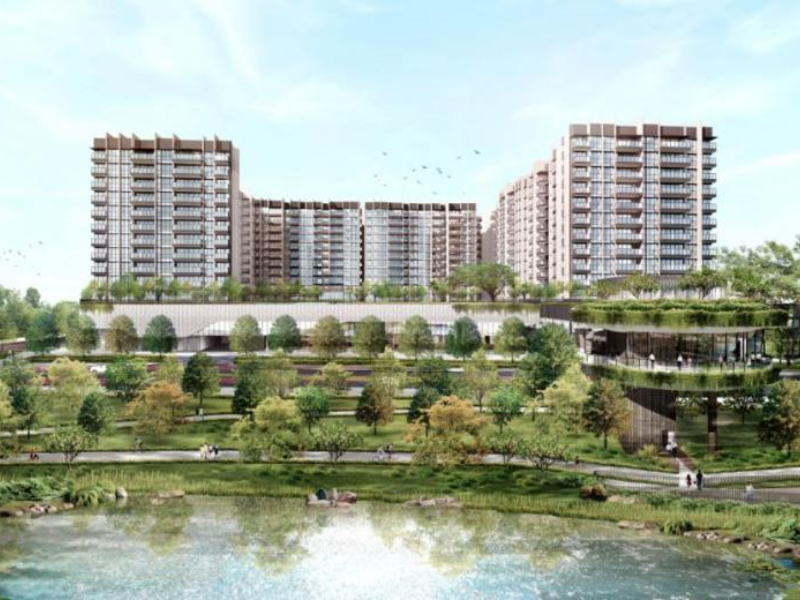 The Bidadari estate will additionally feature several restaurants and shops, fulfilling the vision the Urban Redevelopment Authority (URA) have for the site – a ‘Community in a Garden’. The multiple amenities located within close vicinity to the upcoming residence will do much to connect residents as members of a thriving community, particularly as further developments planned by the URA are implemented within the neighbourhood of Bidadari New Town. 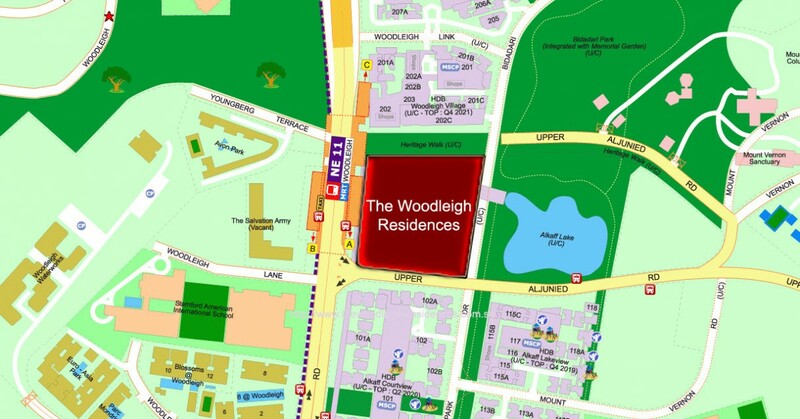 The Woodleigh Residences	Overall rating:	0	out of 5 based on 0	reviews.